Here is how the month of June looked for Birmingham Alabama Real Estate. As we have always stated that as a homeowner, potential resident, potential seller, or as a real estate consultant, we think it is always important to know the stats about what is happening with Hoover AL Real Estate. 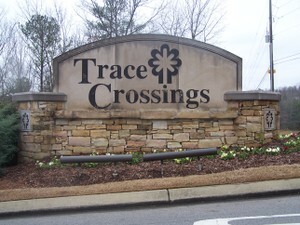 For this report we wanted to focus in on Ross Bridge Real Estate in Hoover, Alabama. For June there were 33 Newly Listed Ross Bridge Homes for Sale. The Average Price was $309,346. The Median Price was $308,840. 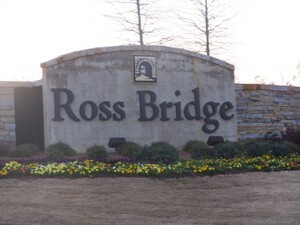 For June there were 17 Sold homes in Ross Bridge AL Real Estate in Hoover, Alabama. The Average Price was $377,126. The Median Price was $332,440 with 110 Average Days on Market, at 98% of list price. Currently there are 64 Active Ross Bridge Homes for Sale with an Average Price of $426,348. The Median Price is $354,235 with 47 Average Days on Market. If you would like to be contacted as soon as Ross Bridge homes for sale become available just let us know, or to get up to date market information go to www.RossBridgeHomePrices.com To view our Ross Bridge Real Estate and Community Tour go to the Ross Bridge Real Estate and Community Tour. *Note these Birmingham Alabama Real Estate stats are accurate as of 5/08 according to the Birmingham MLS. They are subject to change as agents submit listed and sold properties into the MLS. Here is how the first quarter looked for Birmingham Alabama Real Estate. As we have always stated that as a homeowner, potential resident, potential seller, or as a real estate consultant, we think it is always important to know the stats about what is happening with Hoover AL Real Estate. For this report we wanted to focus in on Brook Highland Real Estate in Hoover, Alabama. For the month of June there were 14 Newly Listed Homes for Sale. The Average Price was $405,975 and The Median Price was $388500. 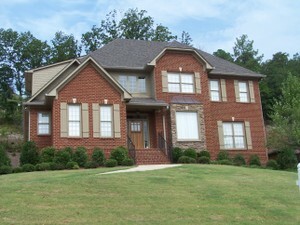 For the month of June there were 4 Sold homes in Brook Highland AL Real Estate in Hoover, Alabama. The Average Price was $386,944. The Median Price was $388,500 with 81 Average Days on Market, at 95% of list price. Currently there are 56 Active Homes for Sale in Brook Highland with an Average Price of $373,274. The Median Price is $369,900 with 96 Average Days on Market. For the second quarter there were 37 Newly Listed Homes for Sale. The Average Price was $355,097 and The Median Price was $319,900. 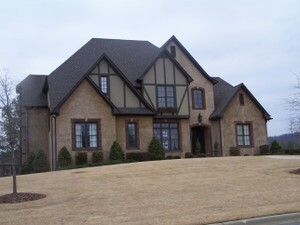 For the second quarter there were 12 Sold homes in Brook Highland AL Real Estate in Hoover, Alabama. The Average Price was $398,270. The Median Price was $330,775 with 72 Average Days on Market, at 95% of list price. For the first quarter there were 43Newly Listed Homes for Sale. The Average Price was $371,671 and The Median Price was $352,200. 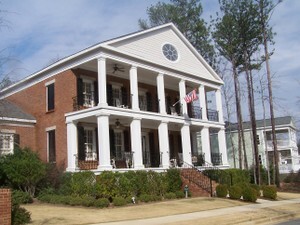 For the first quarter there were 17 Sold homes in Brook Highland AL Real Estate in Hoover, Alabama. The Average Price was $385,350. The Median Price was $352,500 with 75 Average Days on Market, at 96% of list price. Here is how the month of June looked for Birmingham Alabama Real Estate. As we have always stated that as a homeowner, potential resident, potential seller, or as a real estate consultant, we think it is always important to know the stats about what is happening with Hoover AL Real Estate. For this report we wanted to focus in on The Preserve R eal Estate in Hoover, Alabama. For the month of June there were 6 Newly Listed The Preserve Homes for Sale. The Average Price was $639,717 and The Median Price was $625000. 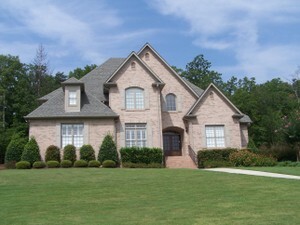 For the month of June there was 1 Sold homes in The Preserve AL Real Estate in Hoover, Alabama. The Average Price was $617,500. The Median Price was $617500with 0 Average Days on Market, at 100% of list price. Currently there are 34 Active The Preserve Homes for Sale with an Average Price of $594,135. The Median Price is $579,900 with 68 Average Days on Market. Here is how the Second quarter looked for Birmingham Alabama Real Estate . As we have always stated that as a homeowner, potential resident, potential seller, or as a real estate consultant, we think it is always important to know the stats about what is happening with Hoover AL Real Estate. 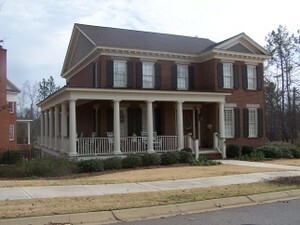 For this report we wanted to focus in on The Preserve Real Estate in Hoover, Alabama. For the Second quarter there were 14 Newly Listed The Preserve Homes for Sale. The Average Price was $569,943 and The Median Price was $579,900. 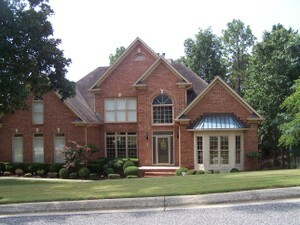 For the Second quarter there were 3 Sold homes in The Preserve AL Real Estate in Hoover, Alabama. The Average Price was $581,333. The Median Price was $576,500 with 103 Average Days on Market, at 97% of list price.